Recently ESPN began to lay off a lot of people. Up to 5% of it’s workforce but ESPN has not confirmed that number. Either way, ESPN is laying off people. For those that don’t know, ESPN is the best profit source for it’s parent company DISNEY. But buying up sports media rights isn’t cheap and it may have, in the end, cost some people their jobs. While ESPN continues to buy up media rights it has neglected a new revenue stream, YouTube. Yes ESPN has a presence on YouTube but not nearly the one it should. And while they wouldn’t get 100% of the ad revenue I’m sure they could get a pretty good deal (maybe 80-20) and a high dollar CPM. How would they do it? Well let’s start with the NFL Draft. 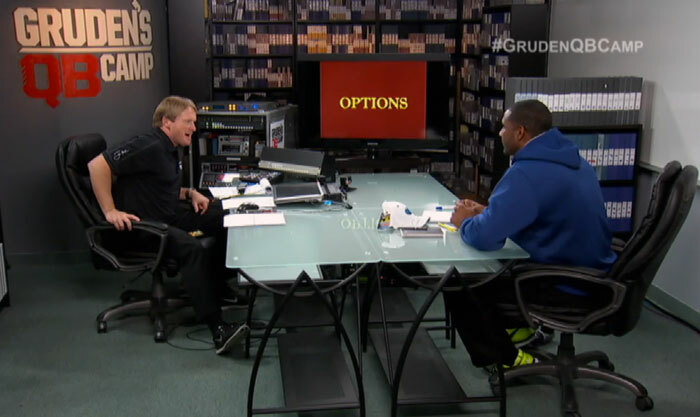 ESPN has perhaps the best and most entertaining draft preview show, Gruden’s QB Camp. It’s a show with no regular time slot but it”s turned into an annual right of passage for QB’s (and other players) entering the NFL Draft. This show was built for YouTube. It only runs about 25 minutes and has a great personality in Monday Night Football color commentator and former Super Bowl winning head coach Jon Gruden. He’s charismatic to say the least and the show has segments that could be expanded upon online. While the main YouTube playlist would be Gruden’s QB Camp there should also be another playlist that just focuses on him on the practice field with the draft prospect. 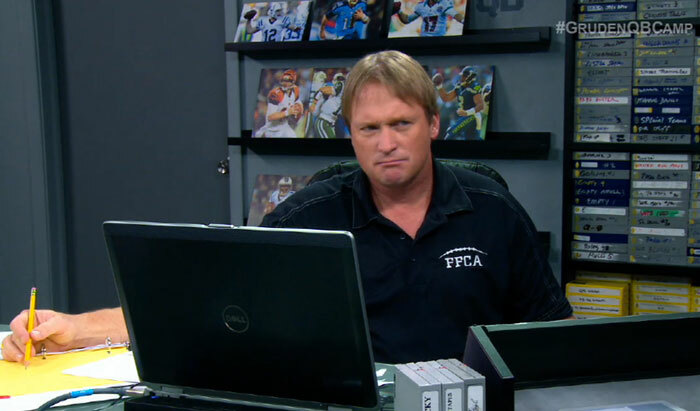 There could also be an outtakes playlist as well with some of Gruden’s best one liners and looks. Take one episode from TV and you could have three pieces of content online. Total, you’re probably looking at 250,000-300,000 views which can turn into a decent chunk of change for very low overhead (the initial costs were picked up under the TV production budget). 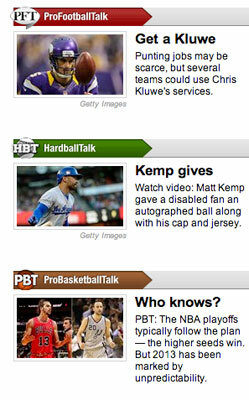 ESPN does have some material under their Insider section on their web site which is about $40 a year. They do this right and they blow that number away (and without the print costs). Not only is this a revenue generator but it’s also user friendly. Now fans can watch all the episodes if they missed it on TV (or even if they saw it and want to watch it again) not to mention the expanded content. Fans have more of a connection to those prospects and probably more incentive to watch the NFL Draft on ESPN later. What does that mean? More eyeballs equals more money for ESPN, Disney and the shareholders. More importantly, maybe this means ESPN doesn’t layoff as many people. That means less unemployment and a better US economy. And the Winner is? Microsoft! Microsoft unveiled it’s next generation gaming console XBOX ONE and with it a partnership with the NFL. A partnership that will set Microsoft back some $400 million over the next 5 years. While XBOX ONE is being touted as a way to improve the viewing experience at home, the bigger question is, when we see tablet’s on the sidelines how will they effect the game? Back in December we published a piece about what it would take for tablets to become a fixture on NFL sidelines. One of those questions was ‘who is going to pony up the money?’ Well we now know who that is now. While most thought it would be Apple or Samsung, Microsoft made the move and a very smart one at that. $400 million to have everyone see a Surface and Microsoft logo on every sideline in the NFL? Might be a steal. The question remains, how will this effect the game? Does this mean that players will be able to look at video vs photos now? Is this going to be an all in one device where coordinators talk to players via Skype while looking at video of previous plays vs being on the phone and looking at photos? What about security? Is there going to be a dedicated WiFi signal for each sideline and is that possible in every NFL stadium? How is a Surface going to react to the rain and snow of Buffalo in December? Various NFL committees will have to be involved from the Competition committee to the Digital Media committee just to name a few. 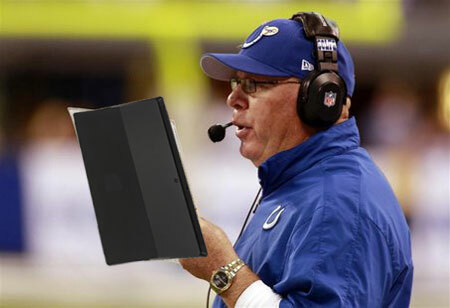 One thing is for sure, tablets on NFL sidelines is going to happen. 2014 season? Good bet but the 2015 season seems like a lock. By comparison, MLB is still studying an instant replay system. Tuesday saw the addition of New York City FC to Major League Soccer (MLS). The majority of owners will be Machester City FC of the English Premier League and a minority, but active owner, will be the New York Yankees of Major League Baseball (MLB). This looks great on paper and MLS is trying hard to sell it to the media and the public so let’s look at the pro’s and con’s of this. The PROS. –Based in NYC. The team will be based in New York City, the world’s financial and advertising center. The NFL doesn’t have a team with a stadium in New York City. –4 teams in the top 2. This gives MLS a 2nd team in the New York TV market and 4 teams in the top 2 TV markets in the US (Los Angeles has 2 teams and is the 2nd largest TV market). –Balance. A 20th team in MLS allowing for a balanced schedule. It also means a natural rival for Red Bull New York. –$500 Million. 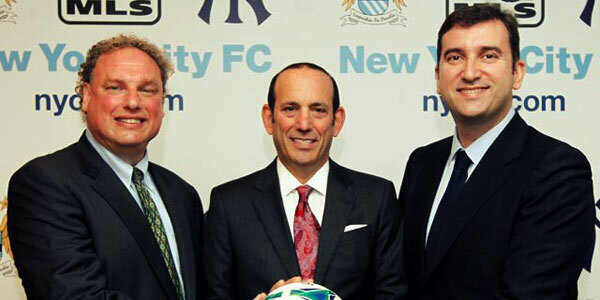 A partnership with the Abu Dhabi government (owners of Man City) and the New York Yankees and a $500 million dollar investment in MLS. The last MLS expansion club, the Montreal Impact, only paid a $40 million expansion fee. –No stadium deal. In the recent expansion history of the MLS teams were required to have a soccer specific stadium either in the works or ready to go in order to get a franchise. They certainly had a place to play unlike NYCFC. 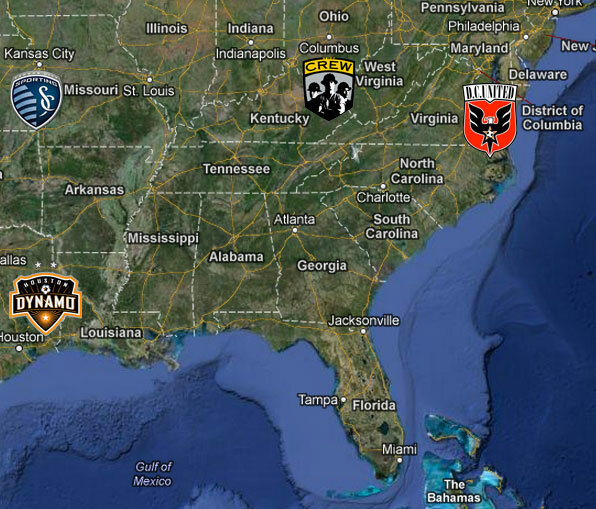 –There is still no team in the Southeastern US. Major markets like Atlanta, Charlotte, Miami, Tampa, Orlando, and Nashville are without an MLS club. By comparison the NFL has 8 franchises in this region, the NBA and MLB have 5, and the NHL has 4. This region also has 16 of the top 50 US TV markets. –Chivas Effect. Last time an ownership group that owned another prominent international football club expanded into MLS it was called Chivas USA. They had the lowest attendance in MLS last season, currently have no regional TV deal, and have been constantly pointed to as one of the worst run clubs in MLS. When they originally came into the league they wanted to use Chivas USA as a farm team for Chivas Guadalajara. Now they are rumored to be on the selling block. –Red Bull New York doesn’t sellout. Red Bull arena, a 25,000 seat soccer specific stadium, in New Jersey that features stars like Thierry Henry and Tim Cahill doesn’t sellout. In fact their attendance was down in 2012 from 2011. They averaged about 73% of capacity. Why would another club, with no history in New York and no stadium do better in the denses sports market in the US? This appears on paper to be a great deal for Machester City and in part for MLS. Man City gets a foothold in New York and how can that not be good for the bottom line? They hired former City player and US National Team Captain Claudio Reyna as the Director of Football and claim that NYCFC will play the same style of football as Man City. But how? MLS is not the BPL. Chivas said a lot of the same things and they went through two head coaches in their first season. There is a lot of talk about the resources that Man City has as far as scouting is concerned and how they are going to help NYCFC. When has that worked? Dedicated resources are always better than shared resources. Economically sharing resources makes sense from a business perspective but in sports it doesn’t work. Maple Leaf Sports and Entertainment (MLSE) which owns Toronto FC, the NBA’s Toronto Raptors and the NHL’s Maple Leafs isn’t exactly knocking at the trophy winning door. They probably claim to have great synergies as well but that hasn’t led to hardware. MLS and Commissioner Don Garber have tried for years to get another club into New York. The only ones who seem to understand it is them. The league would be better served in the long run by expanding into the Southeastern US instead of New York with a passionate, dedicated owner whose sole sports focus is on one club, not two. In the end New York City FC will eventually compete in MLS. How it takes them to get their is up for debate. All athletes retire. Some are forced to, others do because their bodies are breaking down, others lose the fire, and some do it to pursue something better. This past week Robbie Russell of DC United announced his retirement so he could pursue a career in medicine. Russell is not the first professional athlete to retire and pursue a medical career. Former San Francisco 49er Tight End John Frank left football after 5 seasons and 2 Super Bowl wins to pursue a medical career. 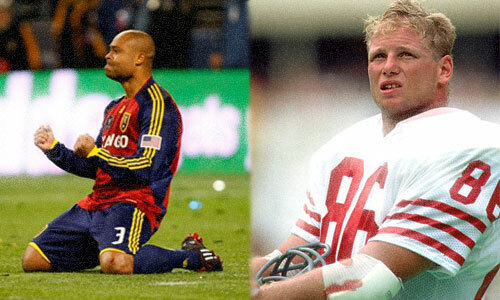 Frank retired after his second Super Bowl win and was on the field during a terrible injury to Cincinnati Bengals Nose Tackle Tim Krumrie in which Krumrie broke his leg. Frank is now a hair loss transplant doctor living in New York. Russell did experience a lot of succes on the pitch. He scored the winning goal in the 2009 MLS Cup to give Real Salt Lake their first and only title. He played overseas from 2000-2008 and made 98 appearances in MLS matches. He’s had a solid career. One he can be proud of. And one where he is making the choice to walk away. In January, Sideline Signals highlighted the Charlotte’s Web of professional leagues, Major League Soccer; and the league’s confusing player system. For the sake of this article, and possibly your sanity, you’ll want to take a few minutes to jot a few notes before you proceed further. Oh, and take and Advil prior… save yourself the headache later. Since that article, some of Major League Soccer’s best players past and present decided the rules may not apply to them… and the league appears to be ok with that. Reason being, they don’t want to play for the club that currently holds their rights. And it’s turned into a blinking match between the league and its players. 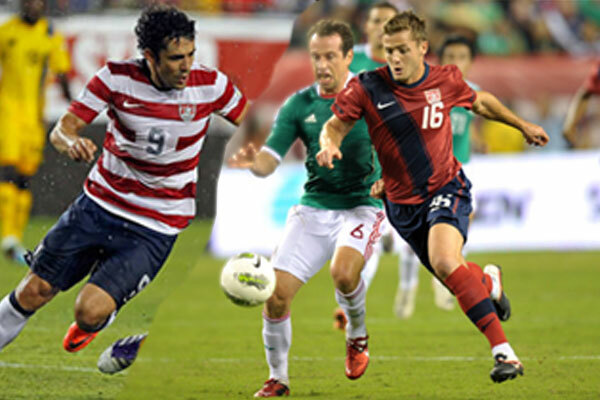 We start in Kansas City who currently owns the rights to United States National Team forward Herculez Gomez. Gomez currently plays for Santos Laguna in Mexico, but stated he wants to come back to the U.S. and play. Backtracking for a minute, KC offered Gomez a raise, but it wasn’t near what he could get on the foreign market, so he took his talents South of the Border. But, because KC offered something, they get to retain his rights. The former LA Galaxy and pre-MLS Seattle Sounder stated he may enjoy playing in Seattle if he returns to MLS, but he doesn’t understand the whole cluster of who owns his rights. He even had an exchange with MLS Commissioner Don Garber over Twitter about it. By rule, if Gomez returned to the league, anyone that wants him would have to trade compensation to KC for him. It’s a similar situation for former USMNT player Robbie Rogers. Rogers recently came out and announced he’s gay. A staggering admission that made plenty of headlines, but after the dust cleared, Rogers started training with the LA Galaxy. Rogers, who grew up in Southern California, admitted he could return to soccer (he retired earlier this year when he announced he was gay), but only in the right situation. In recent interviews, he said he felt better about being in Los Angeles since he has more family in that area, and could draw strength from their support. Rogers’ rights are owned by the Chicago Fire who acquired them in a way that’s not easy to find on the Internet, and also not easy to explain. Leaving that to the side, like Gomez, if LA wanted Rogers to play for them, they would have to work out a trade with Chicago to make it work. Major League Soccer seems to favor the top clubs, then, they come up with a rule the following year that “other” teams can follow. Oh, Landon Donovan wants to play for LA? We’ll allow it, and next year every team can have not one, but TWO Designated Players. Oh, you want to add Robbie Keane too? Ok, well, we’ll have 3 Designated Players for the clubs next year. New York you want Thierry Henry, Rafa Marquez and Tim Cahill. Ok, we’ll make that happen. Below is a list of the clubs and their “guaranteed compensation for players.” Notice a trend among the top 3 teams and who “usually” gets crack at top stars who want to play in the U.S.? Kudos to NY, the Galaxy and the Sounders; they found a way to game the system in their favor. It’s no wonder top players want to go to those 3 clubs. They want to get paid. But, if Major League Soccer wants to get serious about their player system, and they want to make sure it’s a level playing field for all clubs. They’d look at some of these recent cases of players just wanting to go to a club because they “feel” like it. It sets a dangerous precedent for the league moving forward and could be a major roadblock for the league’s development and potential expansion either to New York for a second team, or Orlando as an expansion franchise. The Fans Came Back to the NHL. Sort of. With the 2nd round of the Stanley Cup Playoffs rapidly approaching we thought it would be a good time to look and see if the fans came back to the NHL. There was lot of concern in January when the lockout shortened season got underway that the fans would not return but it appears that those fears where all for not. Many teams enticed fans to return with special promotions as we pointed out in a post earlier this year. Now we have some actual numbers to back up the consensus out there that hockey really is back, especially locally. According to Sports Media Watch some big hockey towns like Pittsburgh, Boston, Chicago, and New York have seen fans return to their TV’s in droves. NBC Sports Network has also seen an increase in it’s ratings with seven of the eight highest rated games coming this season. Attendance appears to not have suffered as it was once feared. While nothing can make up for the business that was lost last fall when the lockout was in full swing, fans do appear to have returned. It’s not all wine and roses however. NBC has seen a decline and surprisingly enough the Boston Bruins 1st round playoff battle against the Toronto Maple Leafs is down in the ratings compared to a year ago. That’s right, the Bruins TV partner NESN has seen a decline in the TV ratings. There is still a long way to go for the NHL. The Phoenix Coyotes are still run by the league, Vancouver and Montreal were knocked out in the 1st round of the playoffs (not much the league can do about that though) and there is now the extraordinary challenge of putting on a hockey game outside in LA. That’s right, the LA Kings will play the Anaheim Ducks outside at Dodger stadium next January. It’s one of several outdoor games planned for next season in the newly created Stadium Series. These stadium games do well ratings wise and attendance wise. It’s another way the NHL is trying to get fans back to hockey. Although, as we pointed out earlier, hockey fans apparently haven’t gone anywhere. NBC Sports owns the rights to a few sports including the NHL and MLS. While they do an outstanding job with the NHL (especially during the Stanley Cup playoffs) the do a very poor job with the MLS. This past weekend the MLS had three games starting at the 1pm Pacific Standard Time. Two were regional broadcasts and the third was on the NBC Sports Network. 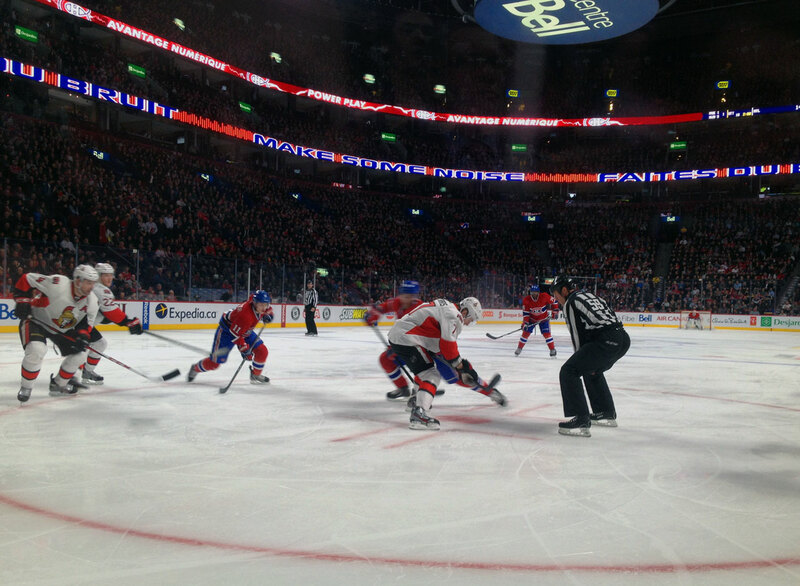 One game was Montreal at San Jose. That match kicked off at 1:07pm. The NBC Sports game, New York at Columbus, kicked off at 1:25pm. Both were regular season matches and yet one game kicked off nearly 20 minutes sooner. If you’ve seen MLS coverage on NBC Sports you’ll notice that this is the norm. They talk. They call it a pre game show but the guide on DirecTV says otherwise. While NBC Sports does do some things fairly innovative (like having their color commentator, in this case Kyle Martino, announcing from the sidelines as opposed to the booth) it still doesn’t excuse the fact that it takes an MLS game on NBC Sports almost an extra 20 minutes to get the ball kicked off. Contrast this to NBC Sports coverage of the NHL. During the Stanley Cup playoffs they have enlisted the help of all of NBC’s other properties so that they can broadcast each and every playoff game live. This means using NBC’s financial channel CNBC. They also start their games 10 minutes after the scheduled start time. That’s right, they drop the puck 10 minutes after coming on the air with the game. Why the difference? Why does a nationally broadcast MLS game on NBC or NBC Sports Network take 15 more minutes longer to start as opposed to an NHL game on the same network? It falls under NBC Sports method of operation, talk. NBCSports.com covers every sport. Their pages are titled PRO FOOTBALL TALK, PRO BASEBALL TALK, and PRO HOCKEY TALK, etc. Does that sound appealing to you? Talk? That may be the most uncreative categorization in the history of the web. It reflects how NBC Sports views itself. It’s not bout the sport for them, it’s about them and what they have to say. In other words, they love to hear themselves talk. Can NBC improve the MLS experience? Yes, kick the ball off. It’s that simple. You can still keep a short intro if you want but don’t make it longer than 10 minutes. Fans of the teams and the sport do not tune in to watch people yap and to admire a combo feature. They tune into to watch the game. Hoisting Lord Stanley above ones head might possibly be the most rewarding moment in a hockey players career. Not just because it’s the pinnacle of the sport but because the NHL has the most grueling playoff system in professional sports. It’s grueling because it follows a grueling season (even a shortened one). How grueling is the NHL season? We took a closer look at this season and it may point to the best team in the NHL not winning the Stanley Cup. We looked at 2 specific categories in this lockout shortened season. Back-to-back games and consecutive road games. The Edmonton Oilers led the league with a 9 game (17 day-ish) road trip. Nashville was second with a 7 game (14 day-ish) road trip. To add insult to injury for Nashville, the start of that road trip was the second half of back-to-back games. Neither Edmonton nor Nashville made the playoffs. 7 teams tied with a 6 game road trip (Columbus did it twice) and of those, 4 teams made the playoffs. One of those is the NHL’s best regular season team the Chicago Blackhawks. Chicago and New Jersey tied for the most back-to-back games this season with 11. Anaheim and Detroit were second with 10 and 8 teams tied with 9. Of those 8 teams only 3 made the playoffs. There are lot of variables out there that one can look at but when you see that the leagues best regular season team is at the top of these 2 categories you’d have to wonder if they have enough gas in the tank to win the Cup. Another note, the Eastern Conference and the Western Conference did not play each other this year due to the short schedule. However the Western Conference does have 4 teams in the playoffs that play in the central time zone with Chicago being one of them. Every team in the Eastern Conference plays in the eastern time zone and no one travels south of Washington DC. Add this together and it is more than likely that a team from the Eastern Conference will have an advantage when it comes to winning this years Stanley Cup.